Upma needs no introduction to a South Indian. It is a South Indian breakfast dish. But apart from that I also make it in the evening for my daughter, when I feel that she hasn’t taken enough vegetables. 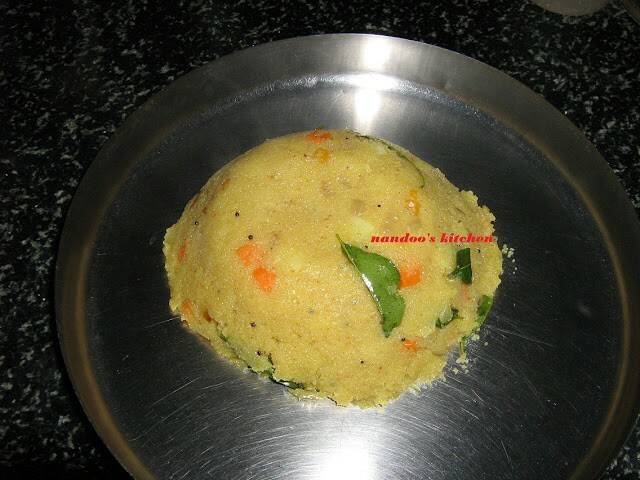 Here I have given the recipe for an upma made with semolina. To increase the nutritional value, vegetables are also added to it. Upma can also be made with vermicelli, poha, bread and so on. When you make upma with semolina or sooji, it should always be roasted before you use it otherwise it will not give you the desired taste. 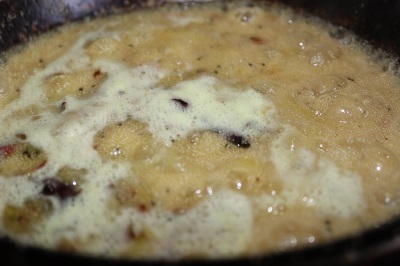 Finally, after making, I add a table spoon of ghee which again gives a wonderful taste to the dish. 2. After that keep the stove in sim and add jeera (u can use jeera powder also. children sometimes hate jeera as such) and hing. 3. 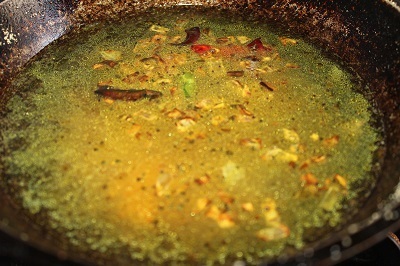 Then add channa dal, urud dal, ginger, green chillies and curry leaves and saute for some time. 4. 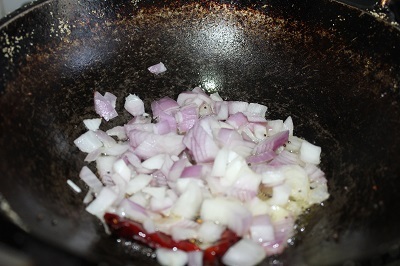 Then add the chopped onions and saute till it turns pink. 7. Then add the remaining 3 glasses of water, add the required amount of salt, and let it boil. 8. 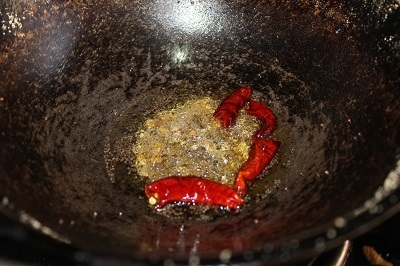 Then add the roasted rawa slowly simultaneously mixing with the other hand. 9. Once it starts boiling, keep the gas in sim and covered keep for 3-4 min.